We match the right boat to the right person, every time. No matter your reason for wanting to be on the water, Fluid Fun is the place to get you there! Our expertise, selection, and enthusiasm to introduce you to paddlesports is what makes us the best choice in helping you find that new kayak, canoe, or accessory you need for your next adventure! As the largest paddlesports retailer in the Michiana area, our focus is providing quality products that will give you the best experience you can possibly have on the water. Located just a few miles outside of South Bend/Mishawaka, we are a short two hour drive or less from Chicago, Grand Rapids, Toledo, & Fort Wayne, and three hours or less from Detroit & Indianapolis. Our customers come from near & far to shop here at Fluid Fun. With over 400 boats in stock at all times, a full-service paddle and accessory shop, and the combined knowledge of many years on the water, our staff won’t let you leave empty-handed, or without the knowledge that you came in for. Stop by the shop to get on the water in your new kayak or canoe today! 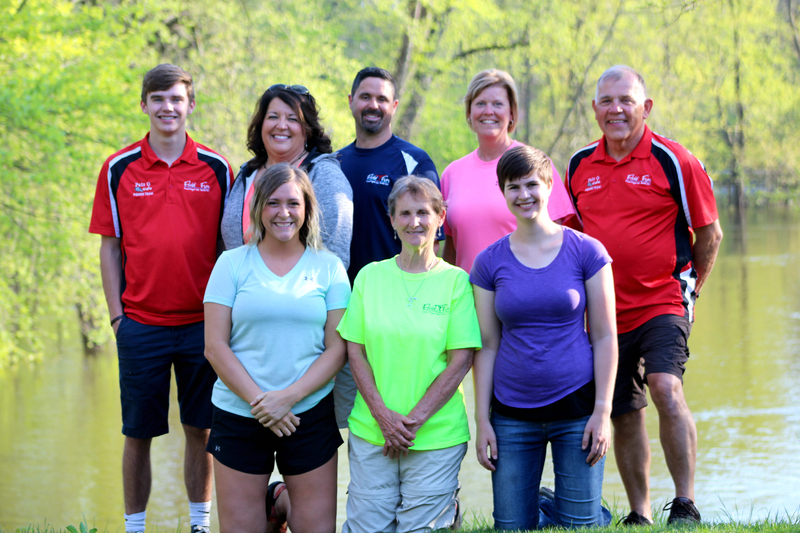 Our staff has over 150 years of combined paddlesports experience. No matter what you’re looking for, we can help guide you. We take the exact same approach that we would ourselves in order to discover what fits your needs. Don’t be afraid to ask us what our personal favorite boat, paddle, or accessory is, and what waterways we love to explore! Our selection of quality canoes and kayaks is unmatched. We keep over 400 boats in stock at all times from the industry’s leading brands. Our floor is full of a variety of different models and colors for you to see, feel, and put yourself in. If you don’t see what you want, we can always special-order anything from a brand we carry. Choosing a kayak or canoe can be tough, especially when we want you to find the perfect boat, not the almost-what-you-need boat. Once we get to know you and have narrowed your choices, you can get on the water right here at the shop. Have a seat and take a few paddle strokes to find out if it’s right for you. Here at Fluid Fun, we embody the term “paddlesports enthusiasts.” We are just as excited to get you on the water as we are to get out there ourselves. Our goal is not just to sell boats, but to introduce you to all of the things we love about paddlesports, in hopes that you will love them too. With over 400 canoes, kayaks, and SUPs in stock at all times here at Fluid Fun, there are so many options and a whole lot to learn! Browse our inventory to see the specs of any boats you may be interested in before you stop in to try it out. If you don’t see what you’re looking for, give us a call at the shop to inquire about what else we can order in from the brands that we carry. Review our resource pages to learn more about different boat options and all the equipment needed to get you ready on the water. Our staff has a passion for the outdoors and is enthusiastic about all different types of paddlesports. We range from fishing junkies to surf-ski lovers and everything in between. Our experience on the water is what makes us the right choice to help get you in the perfect new boat. Stop by the shop and let us match you with an expert best fit to help you find what you’re looking for!